Amanda O’Shannessy Creative and One True Love Vintage Rentals. What does styling entail? What is a stylist’s role at a photo shoot or event? How do you know what looks “good”? How do you find inspiration? And once you find inspiration, how do you bring it to life? The world of styling can be a bit confusing so we’re here to break it down for you. Join us for a two day workshop covering the ins and outs of styling. From concept development through set-up of an event or photo shoot to getting published - we’ll cover it all. Day one will be a “class day” consisting of lecture and demonstrations. You’ll learn by critiquing images, discussing design principles and rolling up our sleeves for some hands-on exercises. On day two you’ll get to see the lecture material brought to life “on set” at our styled shoot. Day two will be a combination of hands-on styling experience, shadowing Amanda through the installation process and listening in as she works with photographers on set. It’s simple: we produce a stunning styled shoot and you show up to capture the pretty and learn a little bit about styling along the way! Throughout the shoot you’ll work with Amanda to get a feel for what it’s like to work alongside a stylist. While working with a stylist can be great, we know that more often than not (especially at events!) there won’t be a stylist on hand and capturing those blog-worthy detail shots is going to be up to you - the photographer. But don’t worry! We’ve got you covered We’ll share a number tips and tricks for getting those fabulous detail shots that blogs, magazines, and most importantly, your clients will love. When it’s all said and done, we hope that you’ll leave feeling super inspired with loads of beautiful images to share. At least one model will be present and vignettes may include: dining table, dessert display, lounge area, ceremony set-up, bridal bouquet, boutonnieres, invitation suite and signage. Note: We highly encourage photographers to attend both the styling section + the photography section to truly get the most out of day two’s styled shoot. Discounted rates are available for photographers purchasing tickets to both sessions. Contact us for more details. If a group setting just isn’t your thing we’re happy to create a one-on-one workshop just for you. Our one-on-one workshops are tailored to fit your needs. Want to learn more about styling? Great. 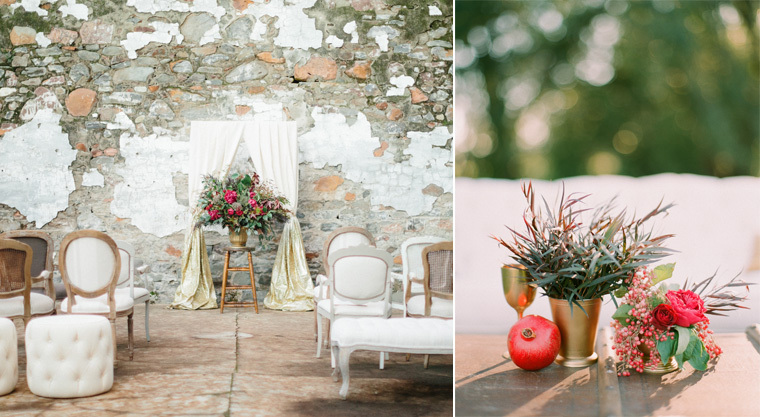 Want us to produce a full styled shoot just for you? Done. We love to travel so even if you’re not local to Northern California, we’d love to hear from you! Rates start at $1800.